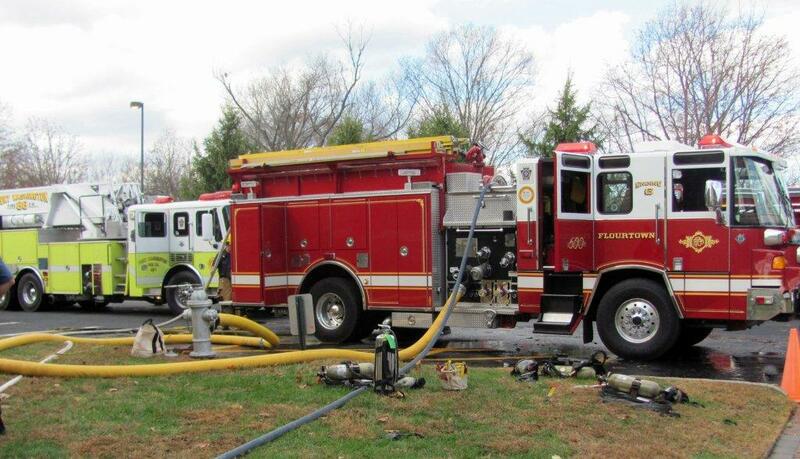 As part of the Firefighter II National Certification class, that members from Flourtown, Oreland, Barren Hill and Centre Square Fire companies have been attending over the past several weeks, one of the requirements is to attend the PECO training facility and work on extinguishing gas/propane fires. On Monday 6/22/15 they fulfilled this requirement. 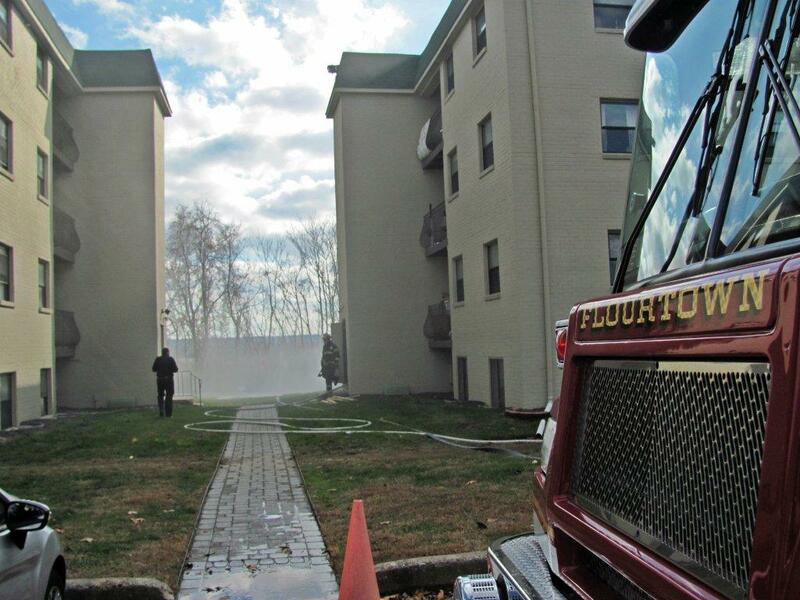 On January 28th, 2015 at approximately 0052 hours, the Barren Hill Volunteer Fire Company along with mutual aide companies from the Flourtown Fire Company, Wissahickon Fire Company, Fort Washington Fire Company and Oreland Fire Company responded to the Washington Towers Apartments, 491 Bethlehem Pike for a reported apartment fire. 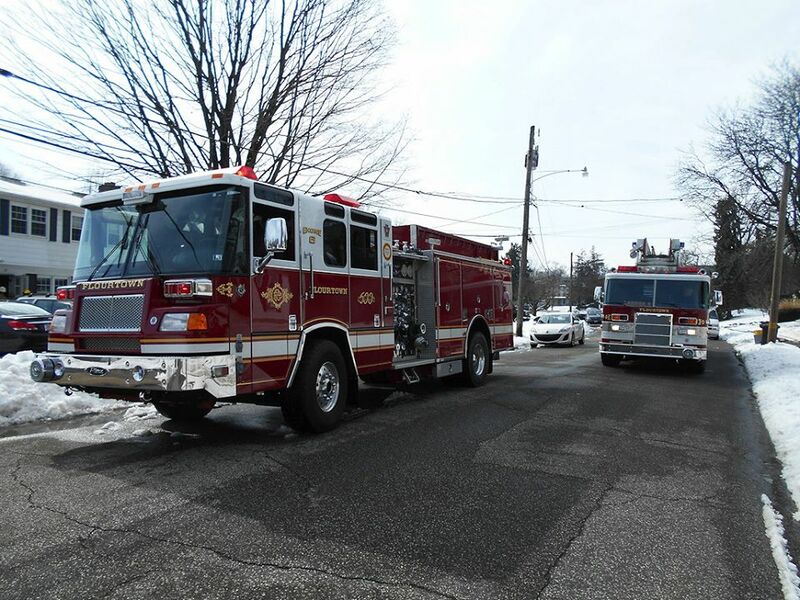 Numerous calls reporting the fire were received by the Montgomery County 911 system who immediately upgraded the assignment. 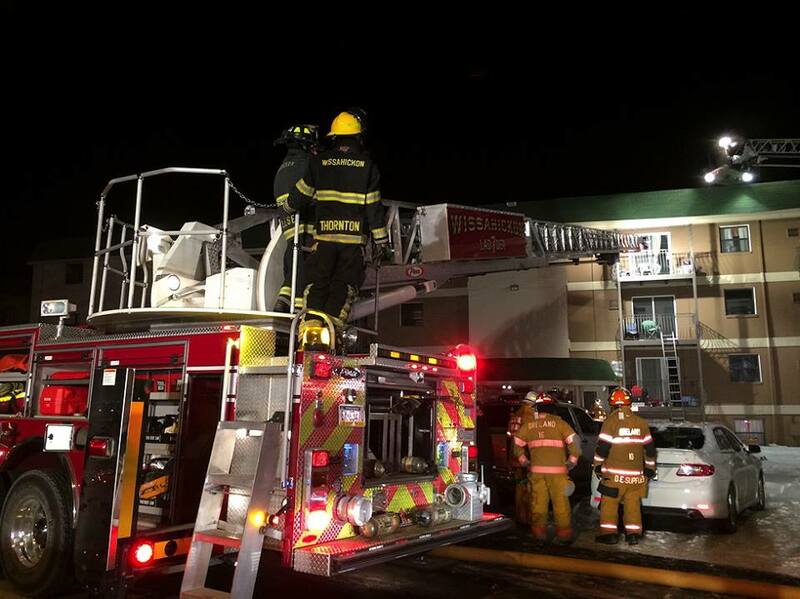 Upon arrival of Law Enforcement personnel from Whitemarsh Township and Upper Dublin Township, a large volume of smoke and fire was showing from a second floor rear apartment in Building #1. 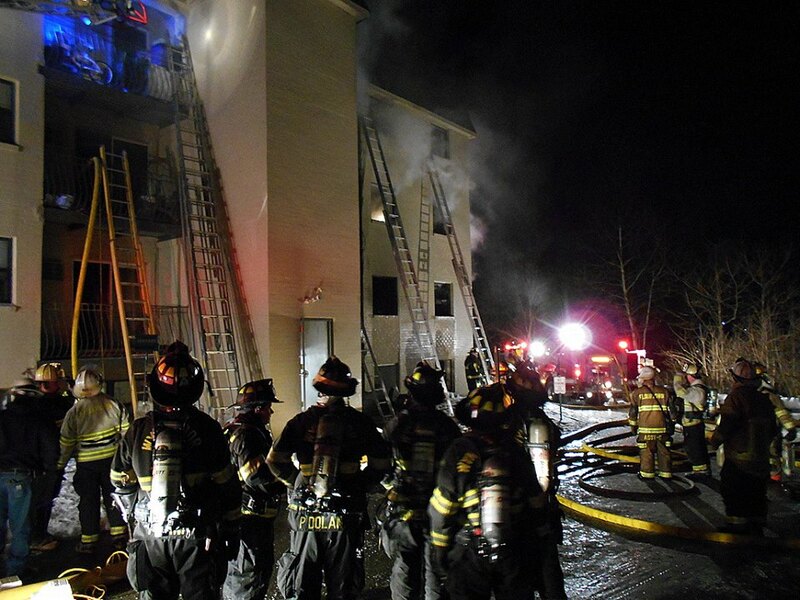 Due to the large amount of smoke and fire, numerous residents sought refuge on exterior balconies and required rescue. 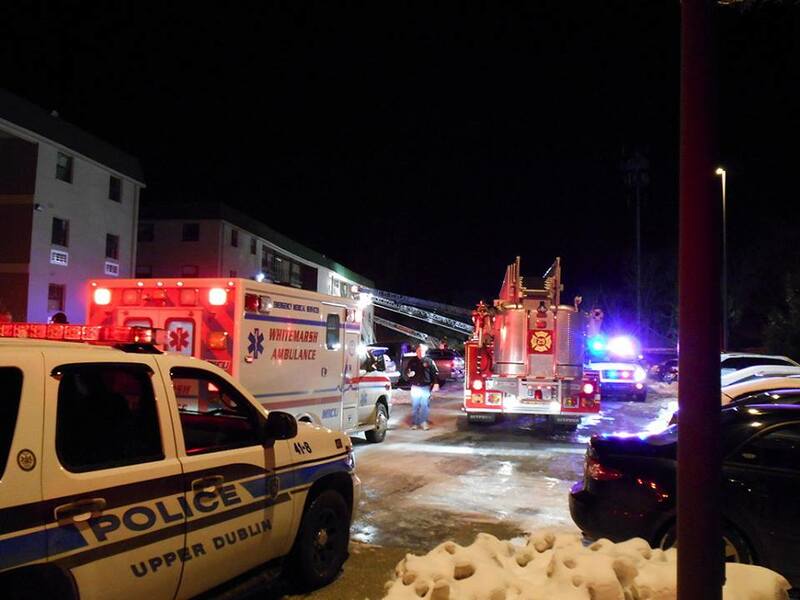 Law Enforcement personnel began rescuing civilians from the lower balconies ahead of the Fire Companies arrival. 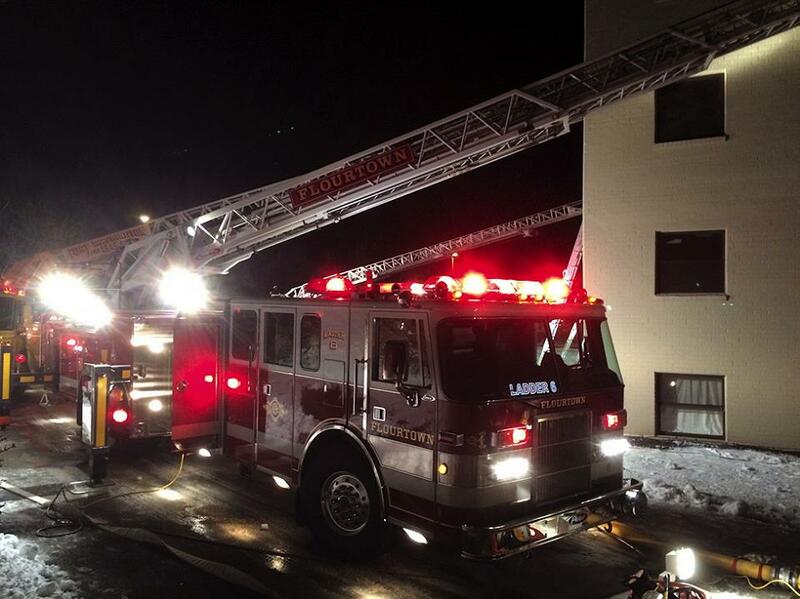 Upon arrival of Fire personnel, crews began making civilian rescues from the 2nd, 3rd and 4th floors using grounds ladders and aerial ladder devices. 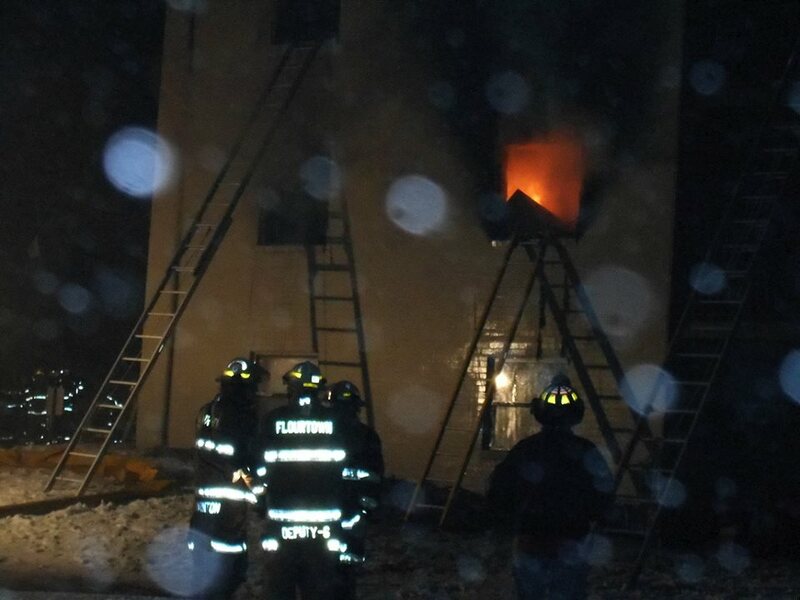 Crews also began making an aggressive interior attack on the fire which had completely consumed the entire second floor apartment prior to the fire company’s arrival. 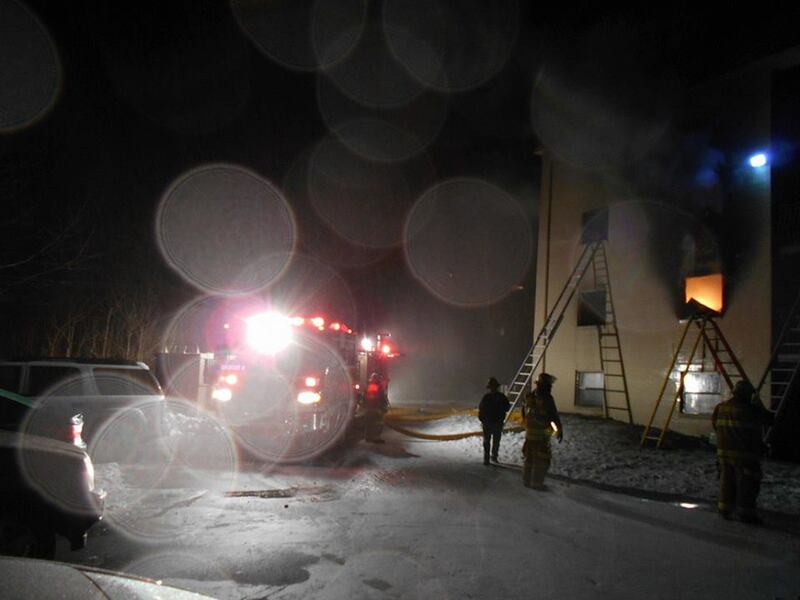 Primary and secondary searches of the apartment building were made and all occupants were accounted for. 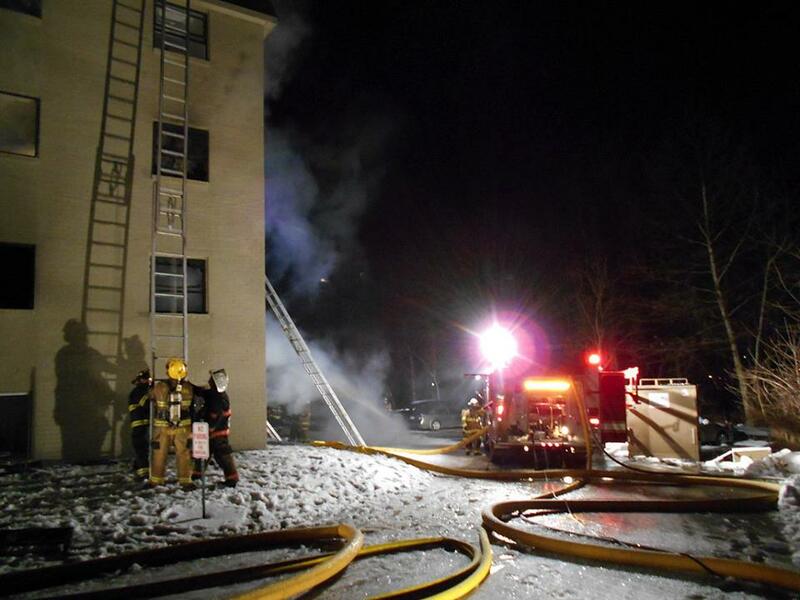 Multiple hand-lines were stretched to the 2nd and 3rd floor apartments as the fire extended to the 3rd floor apartment directly above the original unit that was on fire. 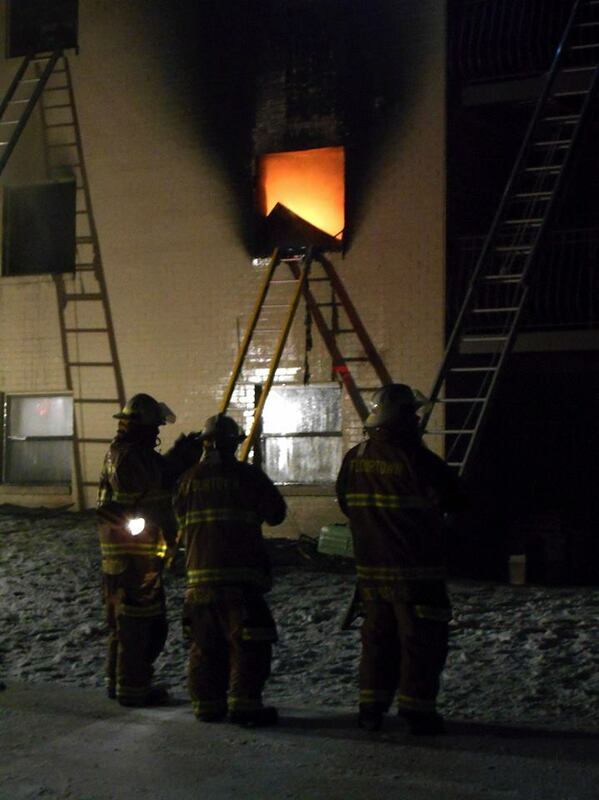 A partial collapse of the 3rd floor apartment rear bedroom floor occurred during the course of the fire attack. 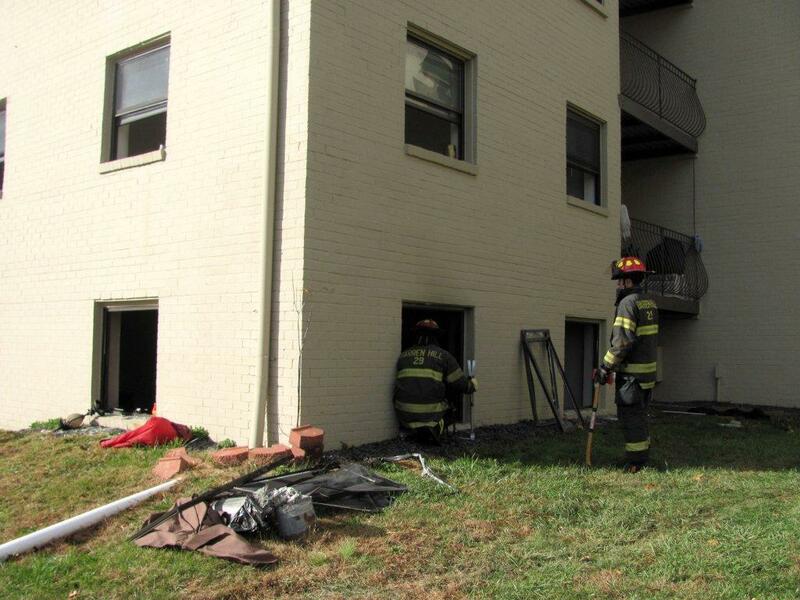 Firefighters held the bulk of the fire damage to the 2nd and 3rd floor apartment with smoke and water damage elsewhere in the building. 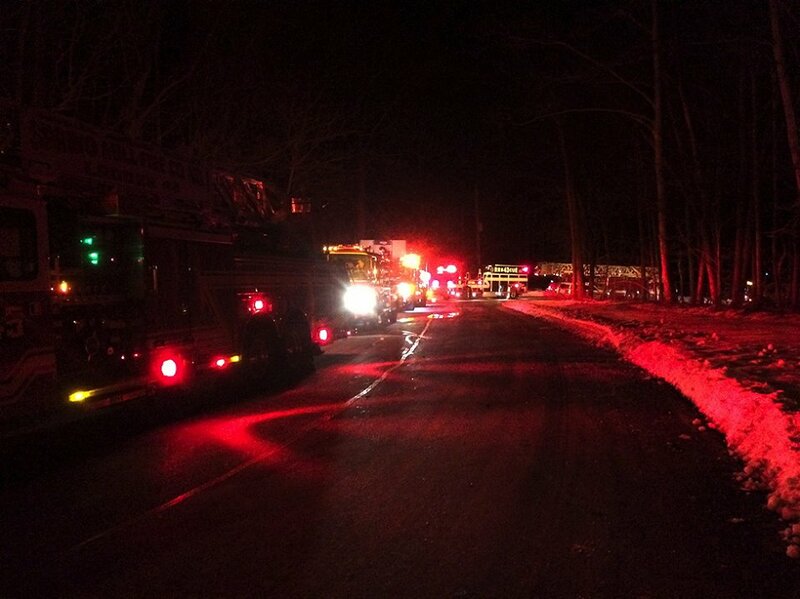 The fire remains under investigation by the Whitemarsh Township Fire Marshal’s Office. 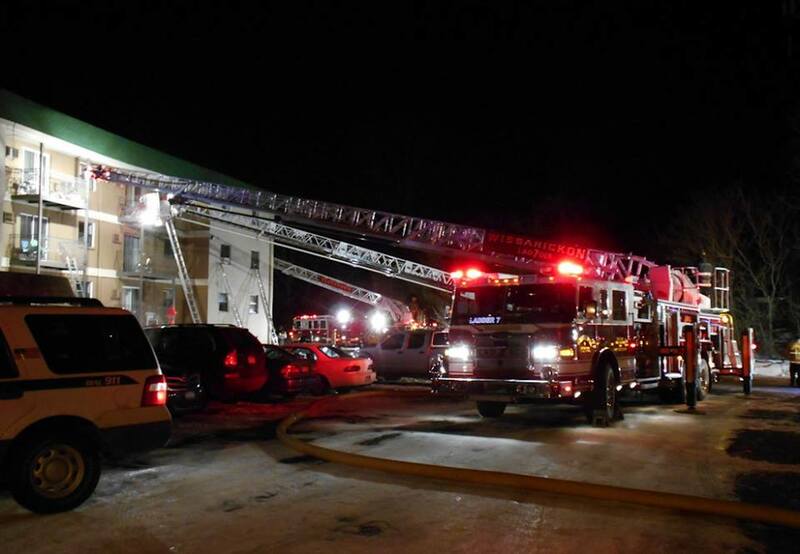 Command at the incident special called four ladder companies and two engine companies above the original 1st alarm assignment to assist at the scene. Several EMS agencies were also on scene assisting Whitemarsh EMS. Three civilians were transported to the Hospital with non-life threatening injuries and no firefighters were hurt during this incident. 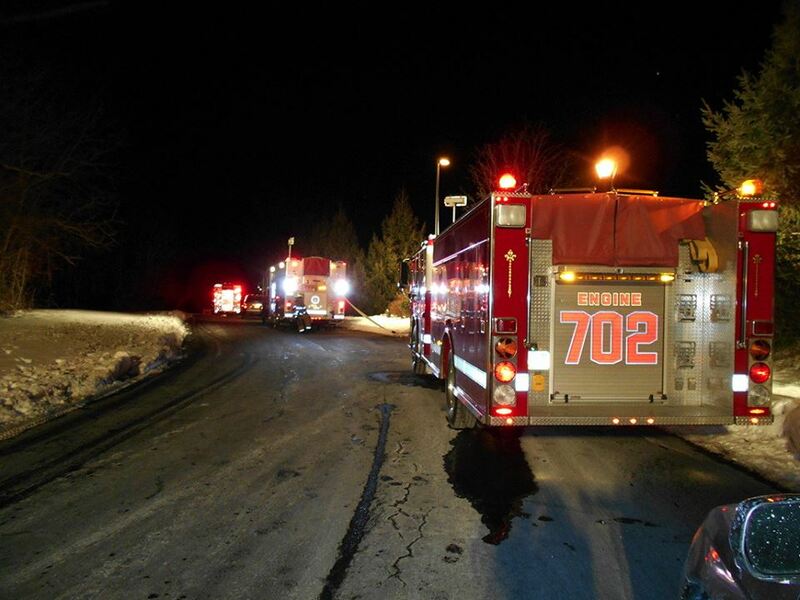 During this incident, temperatures continued to fall and firefighters faced a tremendous amount of challenges from the cold weather and icing in addition to the actual fire incident. Thanks to the Sague Bus Company of Lafayette Hill who provided two buses for shelter for both firefighters and civilians who were on scene. Thank you to ALL of our local VOLUNTEER firefighters who spent the better part of four hours battling this blaze this morning. Your hard work and dedication to a successful outcome of this incident truly prevented what certainly could have been a disastrous tragedy. Great Work! 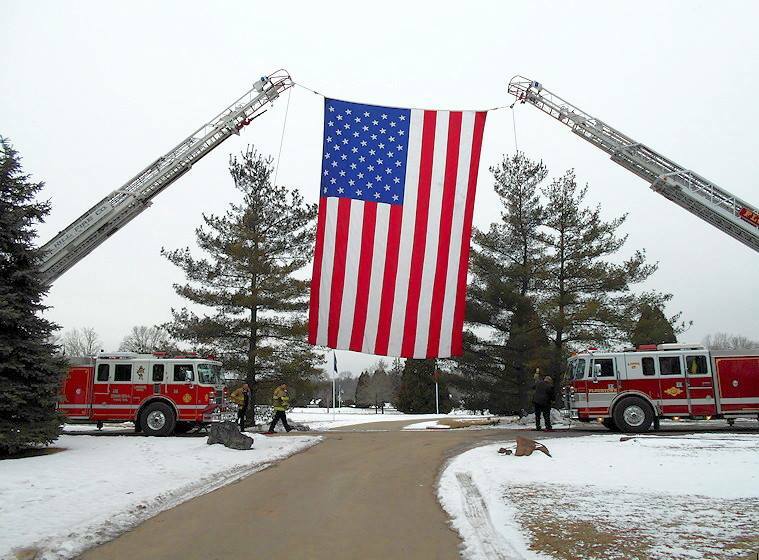 This post appears courtesy of the Barren Hill Volunteer Fire Company, which was originally posted by their Chief of Operations on Facebook. 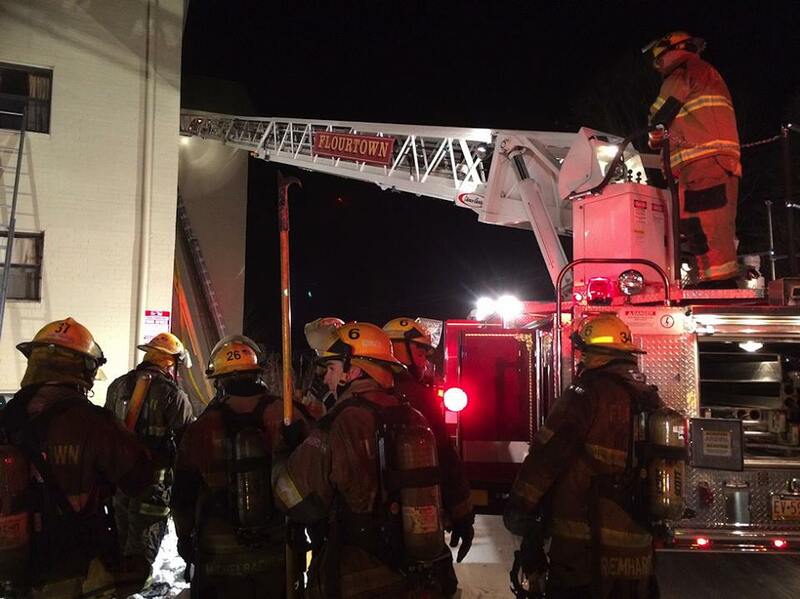 On Monday, November 24, 2014, crews from Flourtown Fire Company (6), Barren Hill Fire Company (29), Spring Mill Fire Company (45), Fort Washington Fire Company (88), Oreland Fire Company (700), and Wissahickon Fire Company (7) responded to a commercial building fire at the Washington Towers Apartments. Fire Marshall (FM) 32 arrived on-scene at approximately 12:48pm, and reported a medium smoke condition in the lower level of the building. 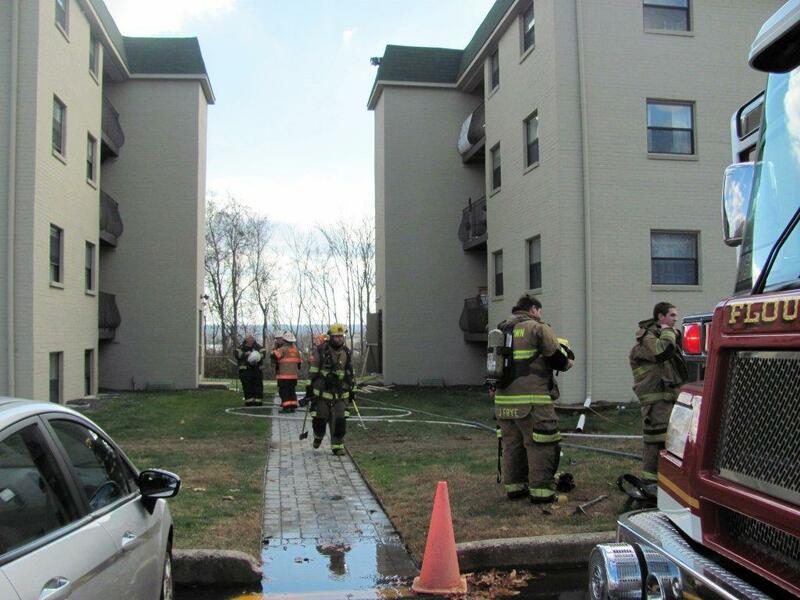 Shortly, thereafter FM 32 assumed command, and a second alarm was struck after reporting a fire in a basement apartment of the four-story structure by 29 Command three minutes later. 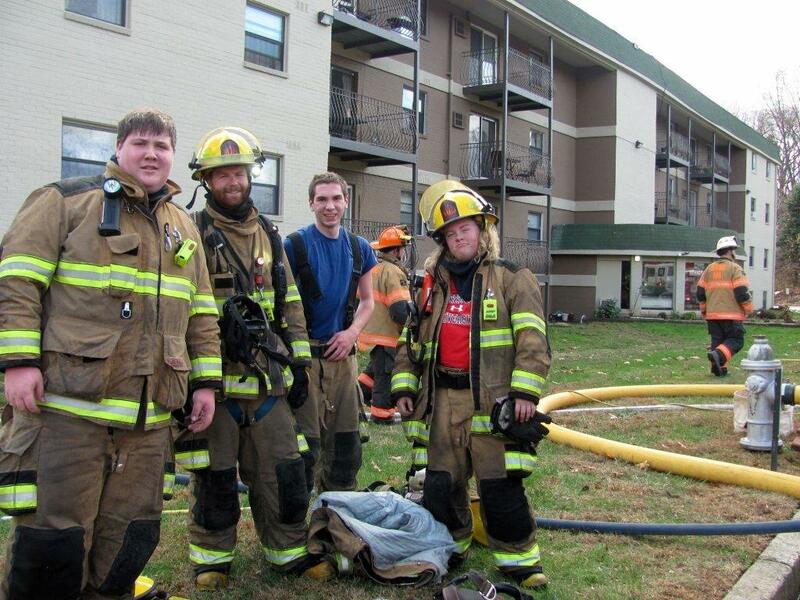 The bulk of the fire was knocked-down within minutes, and the fire was placed under control at 1:02pm.